In addition to LabSolutions IR, which provides basic functionality, Shimadzu also offers LabSolutions DB IR and LabSolutions CS IR to meet the requirements of ER/ES regulations. 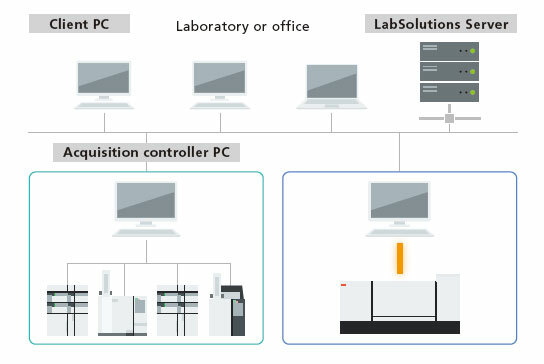 Operate with LabSolutions, Shimadzu's reliable and popular workstation used in chromatography and spectroscopic analysis. 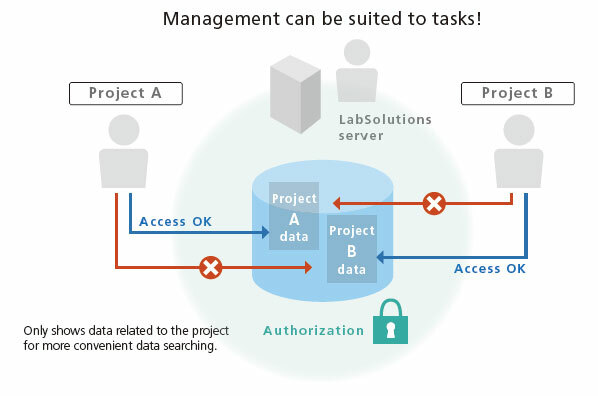 LabSolutions DB IR allows for secure data management by integrating a data management function with LabSolutions IR. Compliant with ER/ES regulations, the software is optimally configured for customers using a PC. It is recommended for facilities that do not require network connections and want to be ER/ES compliant. With LabSolutions DB IR and CS IR, the analysis data are managed securely by the database. Overwriting, deletion and other mistakes typical of data file management do not occur. In addition, when postrun analysis is performed using the acquired data, postrun analysis data revision numbers are automatically assigned, preventing the accidental overwriting of raw data. LabSolutions DB IR and CS IR provide a project management function enabling management suited to tasks and system operations. This function enables equipment and user management, security policy, and data processing to be set on a project by project basis, thereby improving the efficiency of data searches and management tasks. Creating a report set* provides visibility of the individual analytical operations involved in the overall analytical process. When analytical operations are visible, it is easier to check for operating errors, which helps improve the efficiency and reliability of checking processes. * Report sets include test methods and test results for a series of samples analyzed, and also a corresponding operation log (a record of all operating events from login to logout), which is automatically extracted from the data and summarized in a single report.